Psychic Sisters new boutique In Los Angeles. 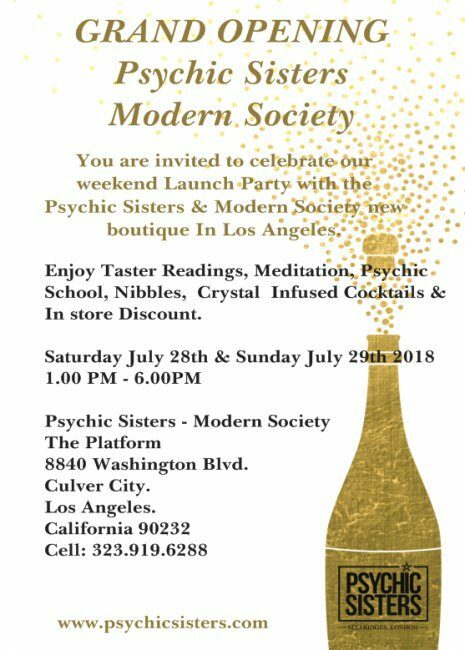 You are invited to celebrate our weekend Launch Party with the Psychic Sisters & Modern Society new boutique In Los Angeles. Enjoy Taster Readings, Meditation, Psychic School, Nibbles, Crystal Infused Cocktails & In store Discount.